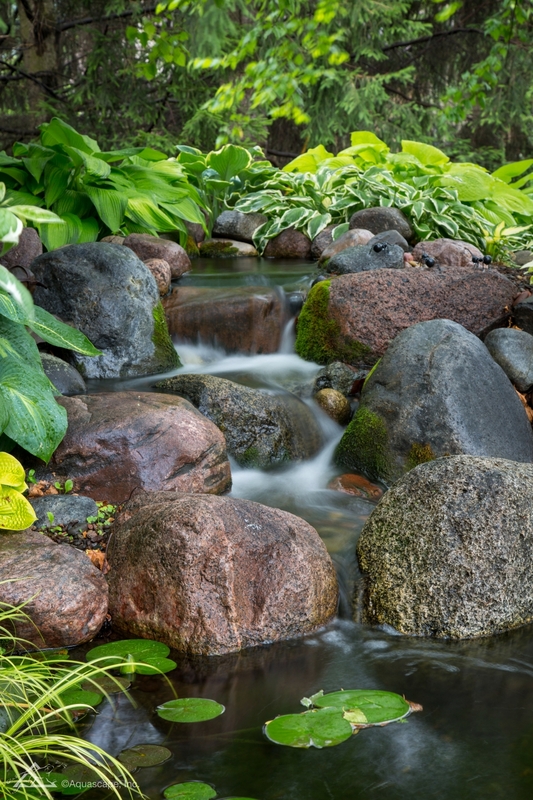 Installing waterfalls in a water garden can be a daunting idea, but it doesn’t have to be. With the right mindset you might find that with a DIY waterfall kit many things are entirely possible to do without hiring an expert! Sometimes hiring an expert just might be the best idea however. 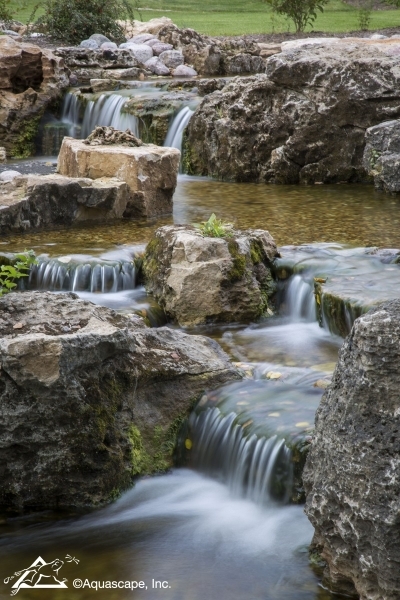 Lets take a look at various things to keep in mind when choosing to install a waterfall, design a waterfall or even construct one with given materials. One of the most important things to keep in mind when looking at waterfall design is placement. Are you considering attaching a stream? Perhaps an ecosystem pond? What part of the yard would look best? Where exactly would the waterfall be in reference to the rest of the water feature? These questions might seem difficult, but if you can get a general idea of where you want your waterfall to be at, it can make the entire process much more fluid. Take note of any wildlife you would like to add to your waterfall design. Once you’ve figured out where you want your waterfall, take a look at various options you have! Do you want to add accent lighting around the waterfall, or do you want it lit from the inside? Would a small bridge crossing over the stream behind the waterfall be a good idea? Where will the bench or table go? 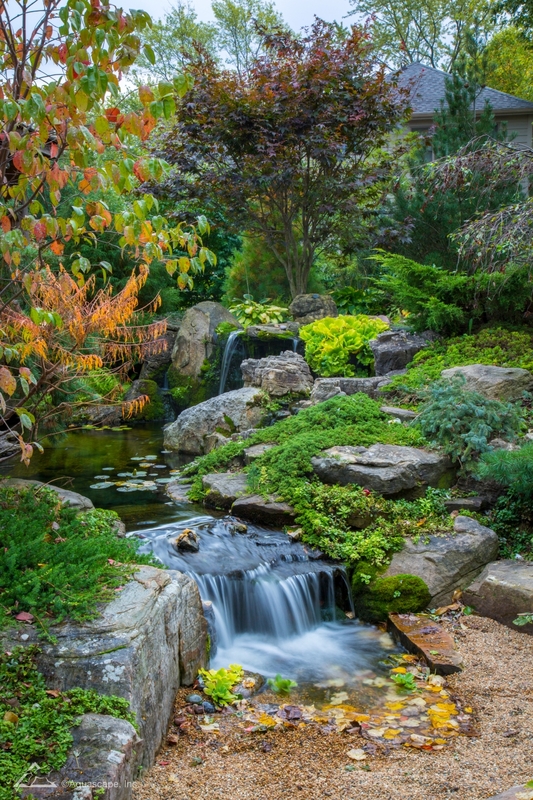 Many water garden owners opt to have their waterfall close by their patio so they can have easy viewing access. Guests will love to hear about your waterfall design ideas and why you chose what you chose! As time goes on your vegetation will grow bigger and spread throughout your garden, assuming the species does that! Waterfalls can look bare if it’s just rock and water. 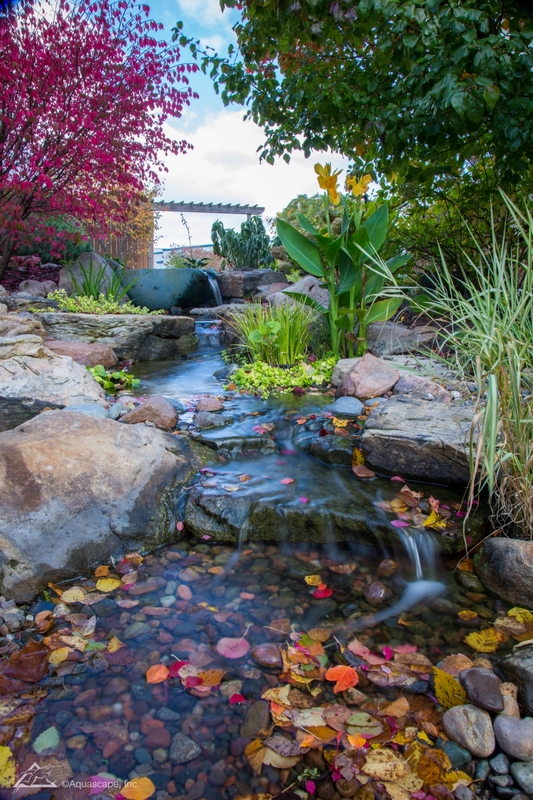 Try adding a sprinkle of color to brighten up the area around your waterfall design.